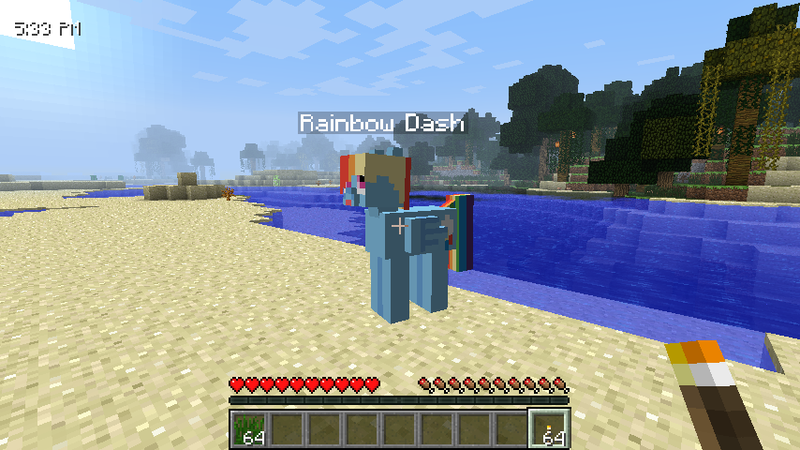 This mod adds Pony mobs from My Little Pony: Friendship is Magic to Single Player Minecraft! This mod adds many new items to the game, found on the TV show “My Little Pony: Friendship Is Magic”. 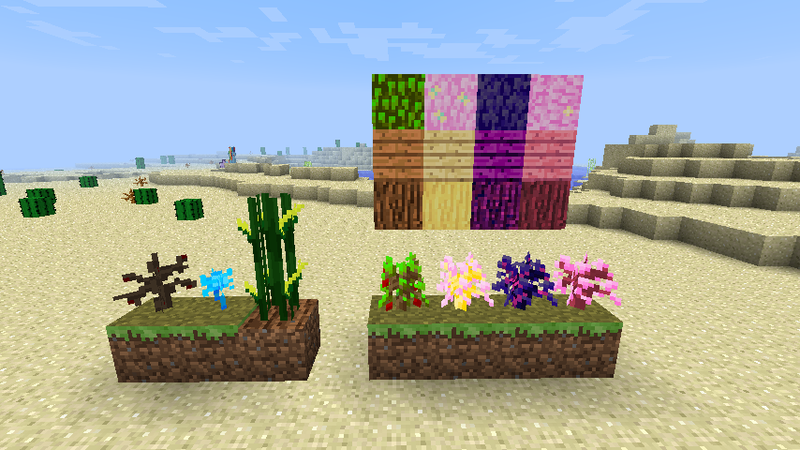 Other added features include pony mobs, zap apples, fluttershy trees, and many more things! 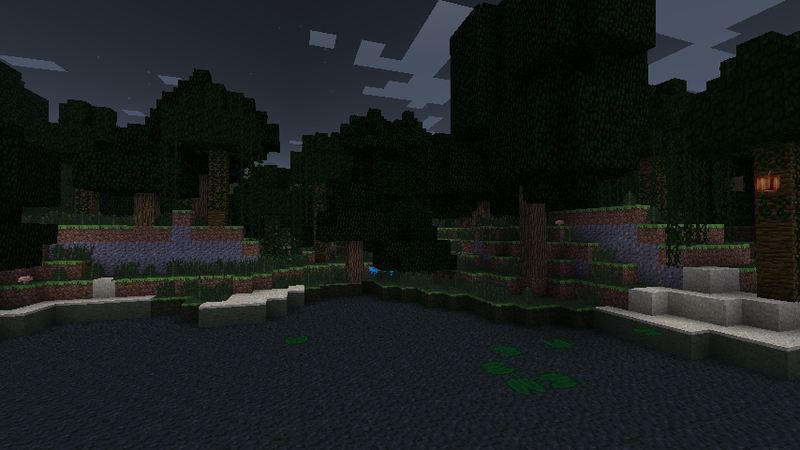 There’s also a biome for the Everfree Forest. The mod also (currently) adds The Mane 6, and Derpy to the game. The ponies use Verdana’s Models from the aforementioned “Mine Little Pony” mod. They also use Verdana’s skins. You may want to use the mods: Mine Little Pony (makes you a pony) and Pony Powers (gives you pony attributes, such as the ability to fly without hacks if you’re a Pegasus, and more!) with this mod! Mine Little Brony adds many different blocks, yet uses very few blockIDs. There are logs, plants, ores, clouds, and more. On the far left is poison joke, which has a different affect for each mob that touches it. After that, throrn bushes, that spawn in the Everfree Forest, and then a fully grown corn crop. After that, in the from left to right are Apple, Fluttershy, zap apple, and cherry saplings with their relevant logs, leaves and planks. 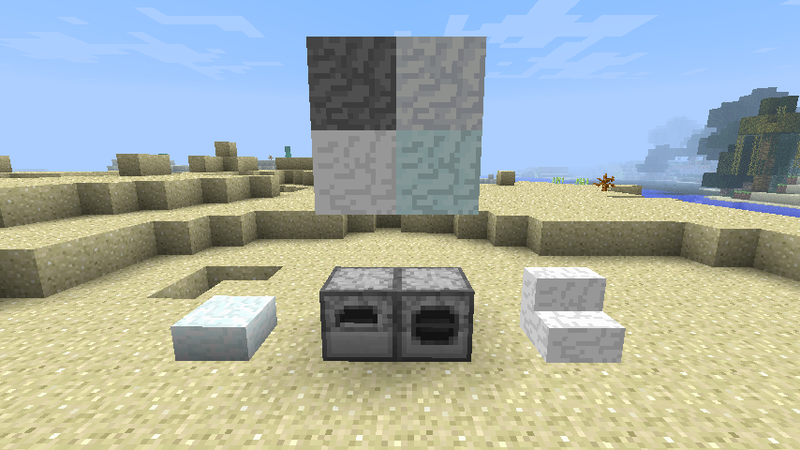 On the left is a cloud slab, created by putting two cloud pieces next to each other. On the right are cloud steps, made by 3 cloud pieces in a crafting area in a right angle shape. In the middle top from left to right are a storm cloud, soft cloud, and in the middle middle from left to right are the hard cloud and bouncy cloud. In the middle bottom, we have a cloud machine and cloud masher. A block is added that drops random gems, but it looks exactly like stone, so there’s no point wasting everyone’s bandwidth with an image. There’s also Tom, who gives himself a random crafting recipe requiring a different kind of stone each time you launch Minecraft. He has a 1 in 500 chance to drop a diamond. 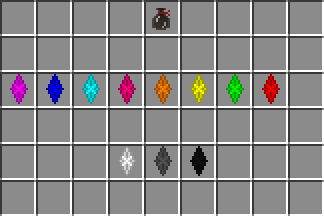 Top left we have a Diamond Zaxe, made by crafting a diamond axe with zap apple sticks as the sticks instead. To craft Zap Apple sticks, (or any sticks in this mod), simply make sticks the same way you would in vanilla Minecraft, but with Zap Apple logs, Cherry logs, or Fluttershy logs. On the far right we have a salt rake, which, when you right-click water, will give you salt, which is used in a few crafting recipes. On the top left we have Cherries, dropped by breaking Cherry Tree leaves. Next to that is a cherrychanga. Below that are Zap Apples, Apple Fritters, and Apple Juice. Below that is a bottle of Vanilla. Finally, on the bottom left, are: Tube of Mix, Cup of Flour, Cookie Dough, Cookie Crumbs, and salt. On the top right are: Popcorn, Corn Seeds and Corn. Below that, a Dandelion Sandwich. Finally, below that, we have an Assault Cake (you can throw it at things – try throwing one at a sheep), muffins and cupcakes. On top we have a gem pouch, you can use this to hold any gem. It will also hold diamonds and emeralds. In the middle are every kind of gem you can find in the mod. These currently do nothing more than function as really good armour. I’ll be adding new abilities in the future. These are available in the “Render” module. When it’s raining, a few will spawn in your world within 1000 blocks of spawn. 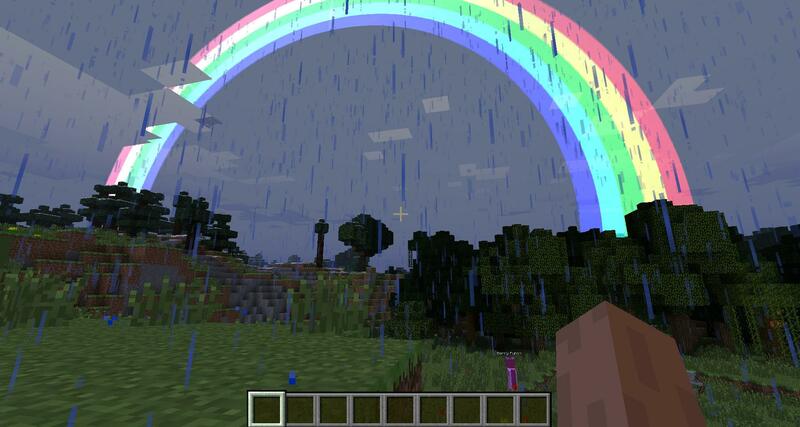 They work on both single player and multiplayer worlds – your friends will be able to see the same rainbows as you can! Not much to say about ponies, they’re added to the world and you can interact with them. They have their own inventory, and (depending on the pony), can also wear armour. They use (with permission) Verdana’s model and rendering code from Mine Little Pony. To tame ponies, simply right-click them with some tall grass. After that, if it’s a Unicorn (and not a background pony), you can ask him/her to show you some gem-filled rocks if you right-click him/her with a gem. You’ll need to be in a cave, else you won’t notice them. You right click tamed ponies with a torch. Why a torch? It’s a place-holder until I add a meta gui. Lots of close-together trees, vines, and thorn bushes. Poison Joke also spawns here, rather plentifully. 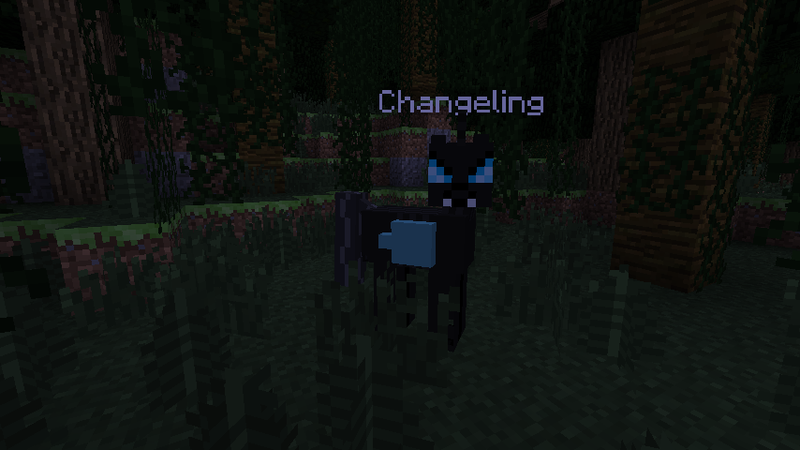 Timber Wolves and Changelings are native to this biome too. These spawn in the Everfree Forest, and Swamps. Their eyes glow in the dark, and they’re very hostile. 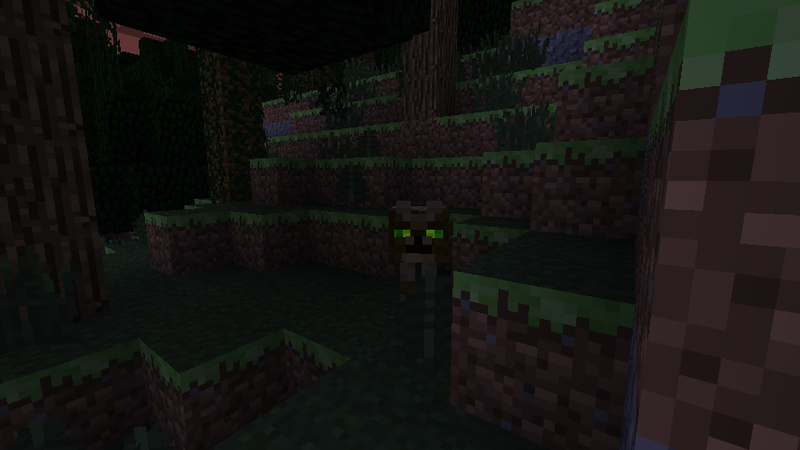 These spawn in the same places as Timber Wolves, and will attack ponies on sight. They will transform into the pony they attack. Fixed barrel liquid level render. 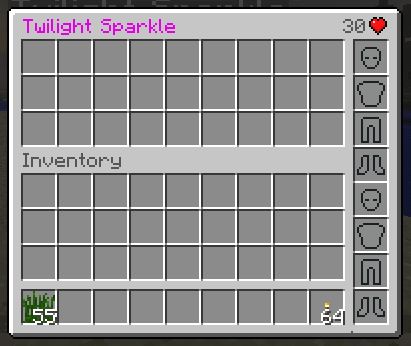 Liquid name and amount added to item tooltip of barrels. Blocks that drop special stuff (e.g. barrels drop barrel items w/nbt values) will not drop if they player’s in creative mode. Food won’t take 2 items instead of taking 1. Blocks that drop special stuff (e.g. barrels drop barrel items w/nbt values) will not drop if the player is in creative mode. Coloured Glass saves saves its colour. 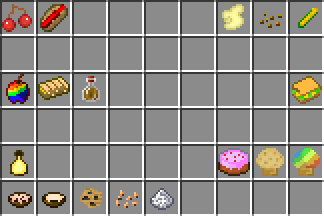 Food items now heal the correct amounts depending on what they are, and SCC spawns half as frequently. There’s now a config option for players to add custom gems. Begun implementation of mirror pools. Barrels now have a blacklist of liquids to read.